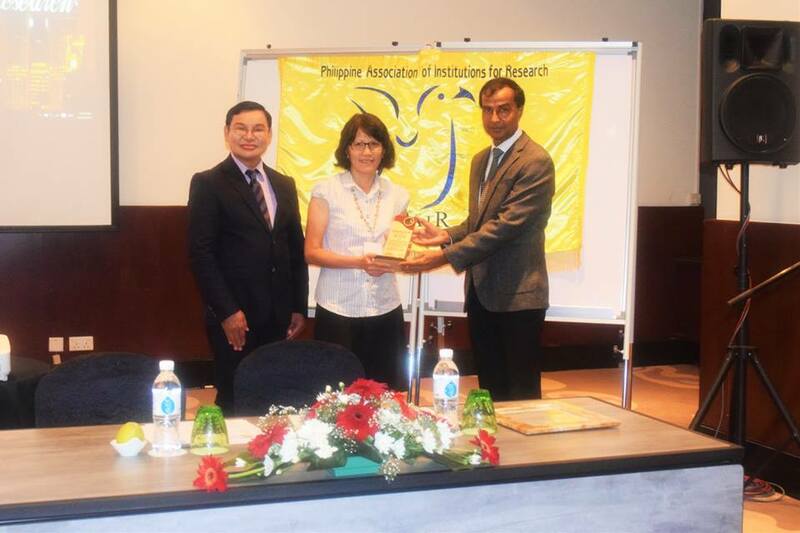 Faculty of Arts and Social Science Deputy Dean for R&D and Postgraduate Programmes Dr Kok Jin Kuan has been awarded the Outstanding Asian Researcher Award by the Philippine Association of Institutions for Research (PAIR), in conjunction with the 4th International Conference on Multidisciplinary Research held from 26 to 27 May 2016 at Berjaya Times Square Hotel, Kuala Lumpur. The award is given to researchers who had their research cited often by other academicians. PAIR selects based on the publication record of all the researchers who participated and presented papers in conferences via the Google Scholar Citation System. Dr Kok’s research received international recognition with 54 citations and a Hirsch index of four. “It was a pleasant surprise for me. I am grateful to the research culture in UTAR. It has provided a rich research environment for me. I am very motivated to grow in this aspect,” she said. Dr Kok has also written a book titled Metamorphosis: The Joy to be Transformed and about 14 journal publications. She has extensive clinical experience working with clients of different backgrounds such as secondary school students with mental health challenges, parents with difficult children, people with adoption and abortion cases, families and couples in need of counselling, and those caring for the terminally ill. She is a registered counsellor and certified supervisor with the Singapore Association for Counselling (SAC). PAIR is an organisation comprising research institutions and researchers with 88 members. It is an ISO 9001:2008 certified organisation by AJA Registrars, Inc. It organises conferences, publishes academic journals, and conducts research trainings. It also provides recognition to researchers with outstanding achievements.